If you’re looking for an inexpensive, versatile laptop, you might want to consider starting your search with the Dell Latitude 3590. This 15-inch laptop (which is also available in 14-inch and 13.2-inch 2-in-1 models), comes with top security features, Windows 10 Home, HD display, WLAN-capability, and more. It’s designed to help you with simple tasks, with flexible connectivity features like HDMI, VGA, USB Type-C, and a 56 WHr battery. There is an extended flexible and smooth 135-degree hinge that allows users to collaborate effectively. If the 15.6-inch display isn’t enough, you can connect this laptop with a larger, higher quality display via HDMI 1.4, which also provides 5.1 channel audio support. The USB Type-C is a tiny physical connector that supports various existing newer versions of USB, like 3.1. If these specs aren’t enough for you, you can go with a better configuration when you go through the checkout process. Go all the way up to an Intel Core i5 processor if you want additional processing power. The computer supports up to 32GB of memory (with Windows 10 64-bit). The great thing about Dell PCs is that they come with a wide variety of customization options. Consumers have always been able to configure their laptops and desktops with the hardware, memory, graphics, processor, and software they need. For security, you get enhanced data protection and advanced user authentication. It’s easy to protect your data from hacks and threats with a laptop such as the Dell Latitude 3590. Every configuration comes with TPM 2.0 FIPS 140-2 and TCG technology (certified). There is an option to add a touch fingerprint reader. The chassis is built to last. Its reliability is a result of extensive military-grade MIL STD 801G tests. The laptop can withstand real-world conditions. Dell refers to this as “the world’s most manageable laptop”, due to its automated BIOS and flexible system configurations through the Client Command Suite’s free tools. In addition to HDMI and USB Type-C, the ports and slots include an SD card reader, USB 2.0, Noble Wedge Lock Slot, DisplayPort (over Type-C), audio combo jack, RJ45, VGA, and optional micro-SIM card slot. What do you need a laptop for? Work? School? Research? Entertainment? Or just ordinary internet tasks? Whatever the case may be, the Dell Latitude 3590 is a reliable, durable choice. 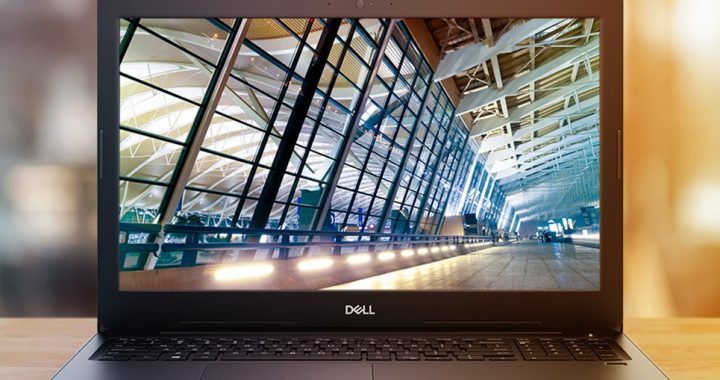 It’s cheaper and faster to get this laptop than you might think – all you need is to grab a Dell Latitude 3590 coupon and get started with your order customization. Dell has always been consistent with the affordability and durability of its Latitude line.